The Little Pig Building Co has been building environmentally friendly homes and business premises since 1992. We have a wealth of experience and expertise to help you make your dream home a reality. We take pride in exceeding customer expectations and working closely with our clients to ensure we understand exactly what they want. 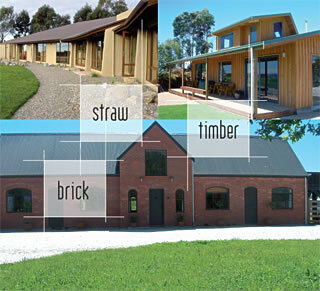 My family and I live in an environmentally friendly home and want to help others experience the long-term benefits of living and working in an environmentally sound, natural, well insulated building – whether that be built of straw, timber or brick. I hope you enjoy looking around the website. And remember, if you have any questions, just email us or give us a call – 0274 480 465. See our range of exciting new plans! Little Pig Building Inspection Services offer qualified, professional pre-purchase building inspections so that you can buy your new home or building with confidence. We offer a full planning & construction service for Formsteel buildings. Offering a wide range of structures, Formsteel is a Kiwi owned and operated company that has been producing quality building components and kitsets since 1972 with a focus on strength, quality and durability.